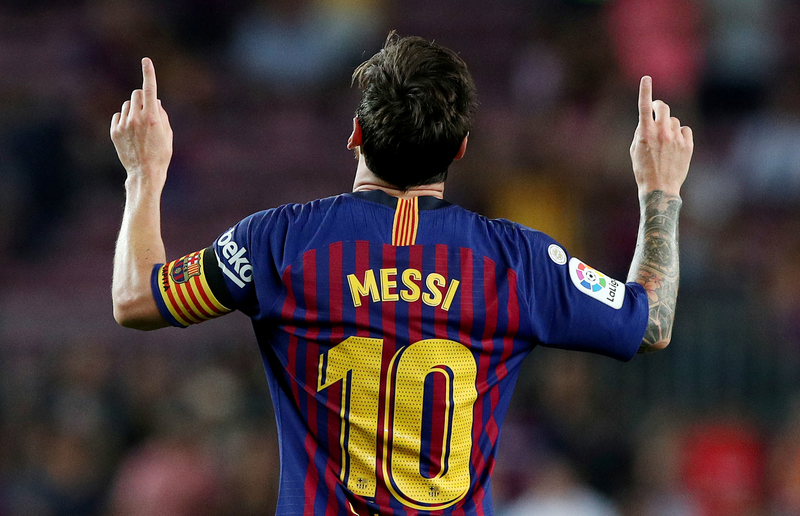 As well as the pursuit of collective success with Barcelona, Lionel Messi is aiming to continue breaking records in the new year. The Argentine continue to perform exceptionally week after week despite his advancing years and, in 2019, will be keen to continue setting the footballing benchmark even higher. Leo Messi could become Barcelona's second highest appearance maker. He currently sits in third, with 657 Barça games, and has only 18 more to surpass the 674 played by Andres Iniesta in a Blaugrana jersey. The first in this category is Xavi Hernandez, who played 767 games for the club. The Argentine could also manage to grasp the record for most LaLiga victories, as he is only eleven games away from matching the 334 of Real Madrid's former goalkeeper Iker Casillas. Messi is aiming to claim his sixth Golden Boot and his third in a row, something that no other has achieved in the history of the sport. If Barcelona were to win the treble this year, Messi would reach 36 collective trophies at the same club, which would equal the honour held by Manchester United winger Ryan Giggs. The Argentine is hungry to win all titles available, particularly the Champions League which the club has not won since 2015. Barcelona's captain is just one more hat-trick away from reaching the 50th treble of his career. Messi is also looking to win the Pichichi for the sixth occasion in his career, the prize awarded by MARCA to La Liga's top scorer, which would equal the number of times legendary Spanish striker Telmo Zarra claimed it. Currently on 397 LaLiga goals, the 31-year-old is just a matter of time away from shattering the 400 mark.